It’s bold,it’s dynamic,and built to energise.A statement whenever it goes,it’s a revelation for the ages. You don’t just see it.You feel it when it rolls by.Deigned to be on the cutting edge,it’s not just a car.But also an invitation to break free.It’s fuelled by the future to elevate the everyday. 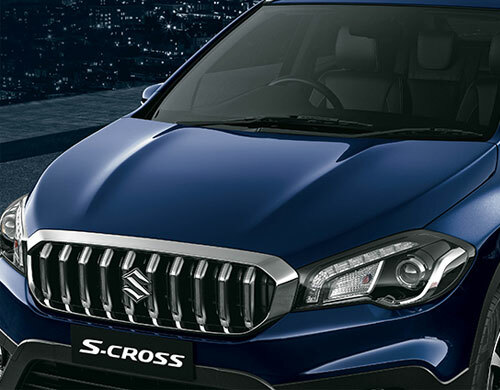 The All-New S-Cross is powered by by the DDiS 200 Smart Hybrid Diesel Engine.Paired with Integrated Starter Generator (ISG),it not only improves fuel efficiency by supplementing the engine’s power,but also enables better acceleraton and all-round performance. 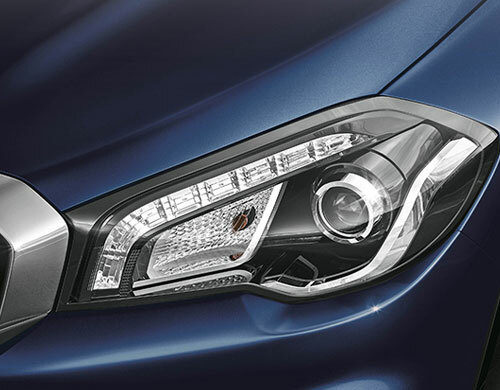 The sharp and confident LED headlamps dominate at first glance, while the crystalline look lends the All-New S-Cross an edgy persona. 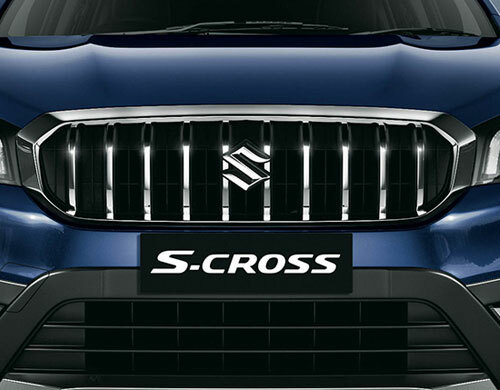 The imposing new design of the front fascia definitely gives the All-New S-Cross a brawnier look. 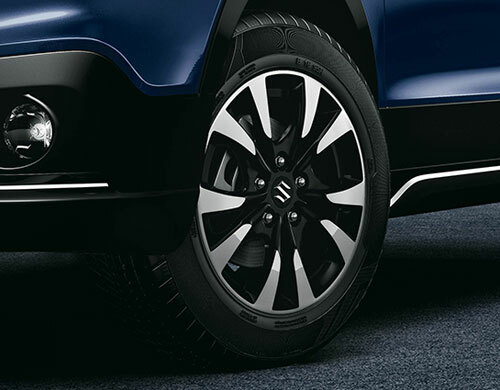 The dynamic alloy wheels, spinning with might, take attitude to a whole new level. Enjoy each ride to the extreme as you take these metal marvels for a spin. 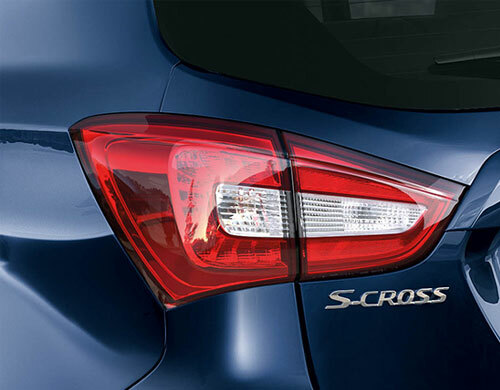 With new signature LED Tail Lamps,The All-New S-Cross leaves a lasting impression. 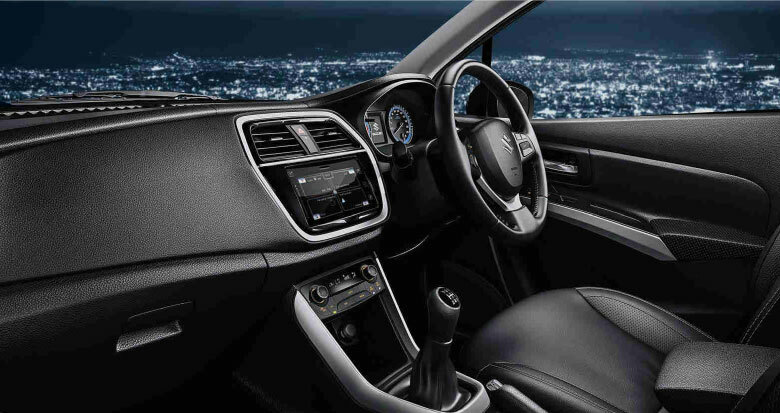 The luxurious interiors beckon you the moment you open the doors of the All-New- S-cross.Inside, class meets convenience in a unique blend with soft-touch dashboard and the steering-mounted audio controls.